This is a monster of a hole. Two strong shots are required to get inside the 150 mark. 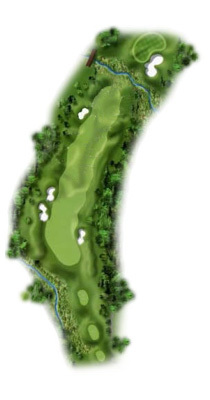 From there, a shot to this two-tiered green must carry the hazard fronting the green. Five is a well-earned score on this hole.